MEMBERS of the European Parliament have called on national governments to enforce rules designed to protect foreign workers posted overseas from ruthless employers. The decision should give so-called ‘Posted Workers’ – those temporarily sent by an employer to work in a different country – the same rights as anyone else at work. It will protect them from tax scams, ensure they are paid at least the minimum wage, given holidays and so on. 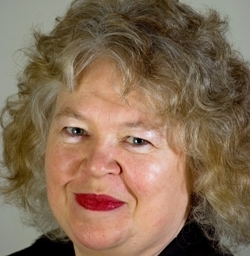 Green Party MEP Jean Lambert said there were a large but ever-changing number of ‘Posted Workers’ in the capital, and that many had suffered exploitation. Ms Lambert, a member of the European Parliament’s Employment and Social Affairs Committee, said: “This new legislation is an important step forward for the rights of those posted to work temporarily in other EU member states. “Proper enforcement of EU rules on posted workers will help prevent the exploitation of posted workers and ensure they are granted their rights. This entry was posted in International News, National News and tagged Green Party, MEP Jean Lambert, MEPs CLOSE LOOPHOLES ON FOREIGN WORKERS, minimum wage, tax scams, working conditions by tamesidegreens. Bookmark the permalink.